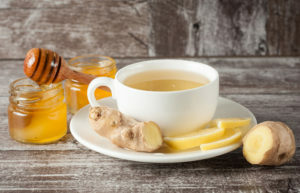 Ginger and honey are two ingredients that have amazing health benefits of their own. When combined with each other, their strength becomes doubled. Today, we’ll talk about the benefits of these two superfoods, especially in relation to detoxification, and how they can help our body get rid of harmful toxins. Before getting into the details of how Ginger Honey can help, let’s understand first what detoxification is. Detoxification is simply a process that enhances the body’s natural cleansing function, allowing our body to build up its immune system so it can fight diseases more effectively. Starting with ginger, it’s a really good agent for cleansing. It can cleanse our bodies by stimulating digestion, sweating and circulation. Its digestive function in particular may help with the removal of waste and toxins from the colon and liver. The healing and detoxifying properties of ginger are due to its anti-inflammatory and anti-spasmodic effects on the gastrointestinal system. Intake of ginger can help relieve discomforts like gas, bloating, diarrhea and constipation. Now, let’s talk about plain honey. Having plain honey with some lemon has been known to act as an effective liver tonic. This concoction can keep our bodies free from toxic and harmful free radicals that often lead to constipation, acne, pimples and other problems. As a good liver tonic, it improves the liver’s function to perform by neutralizing the harmful free radicals in the body. At Safa Honey, we care about your health just as we do about ours. Our Ginger Honey is a product that combines the benefits of these two powerful detoxifying agents and brings them to you in one bottle! Take in this goodness by having 2 tablespoons of Ginger Honey right after you wake up in the morning, and making it a daily ritual. You’ll definitely start feeling the difference.